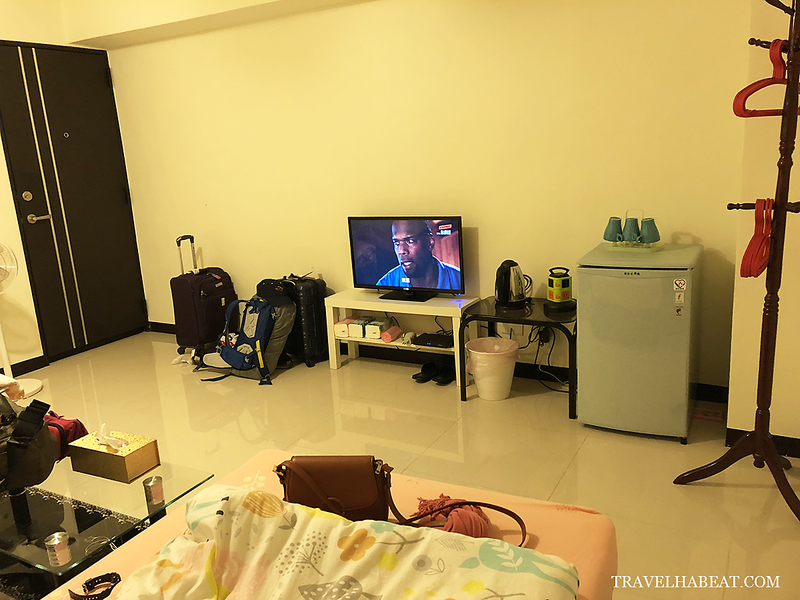 Looking for a place to stay in Taipei, we found this Airbnb room in Datong District hosted by Wang. 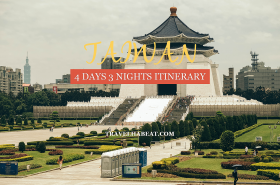 It was only a few weeks until our Taipei trip when I started looking for accommodation. Fortunately, I found Wang’s place. 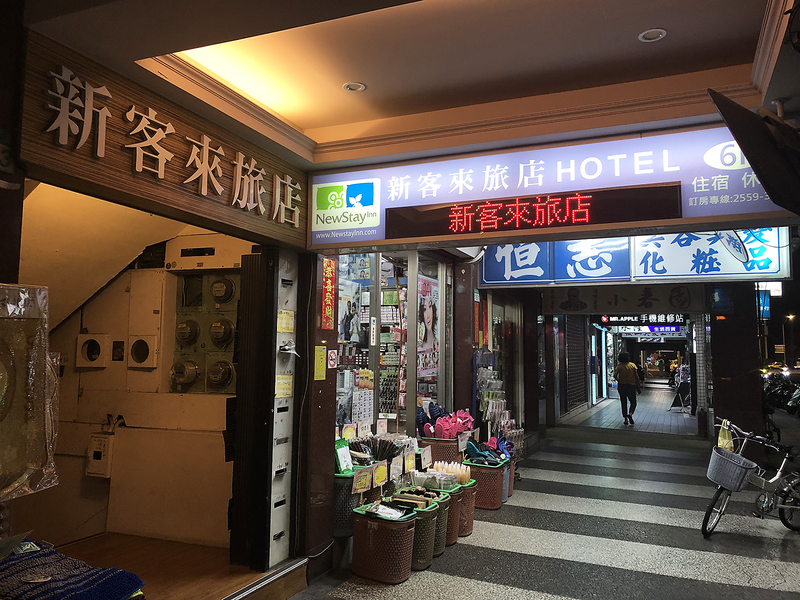 Wang’s place in Datong District is conveniently located near Ningxia Market and MRT stations, Zhongshan and Taipei Main. 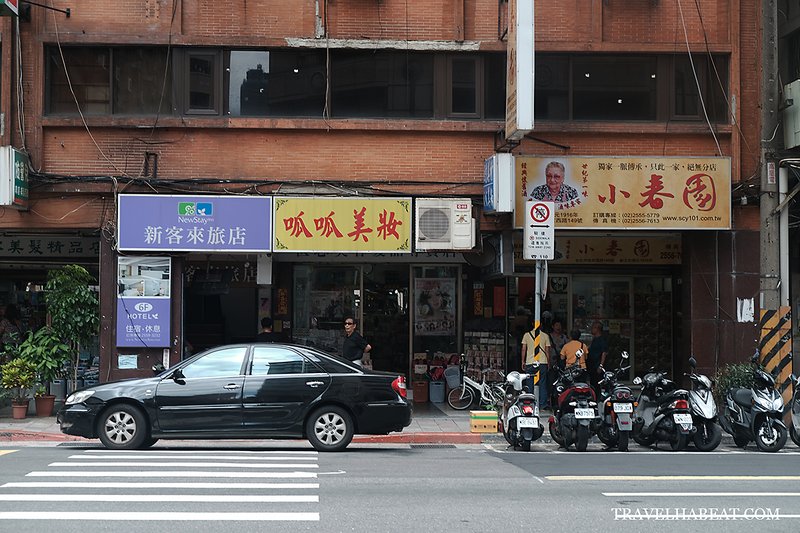 We tried walking to Taipei Main MRT station and we easily found it with the help of Google Maps. 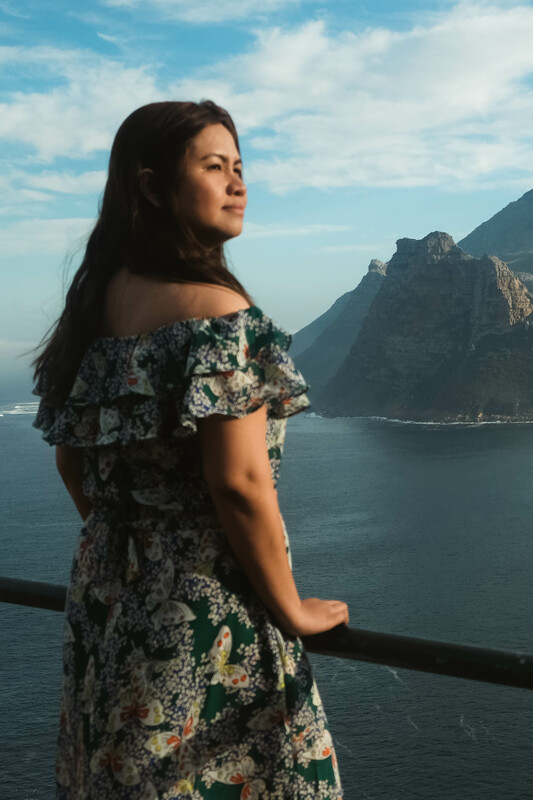 You can actually reach it in 15 minutes and you’ll pass by numerous shops selling clothes, cosmetics, souvenirs, and a lot more. The building where the Airbnb is located. It’s a good thing to be near Taipei Main station because it’s the station where different MRT lines meet. Also, this is where the Airport MRT is located. Wang’s Airbnb is also surrounded by 24-hour convenience stores like 7/11 and Family Mart. Other food and coffee shops are also nearby. We just crossed the street to get our breakfast – either from the local eatery, or 7/11. Local eatery across the Airbnb. 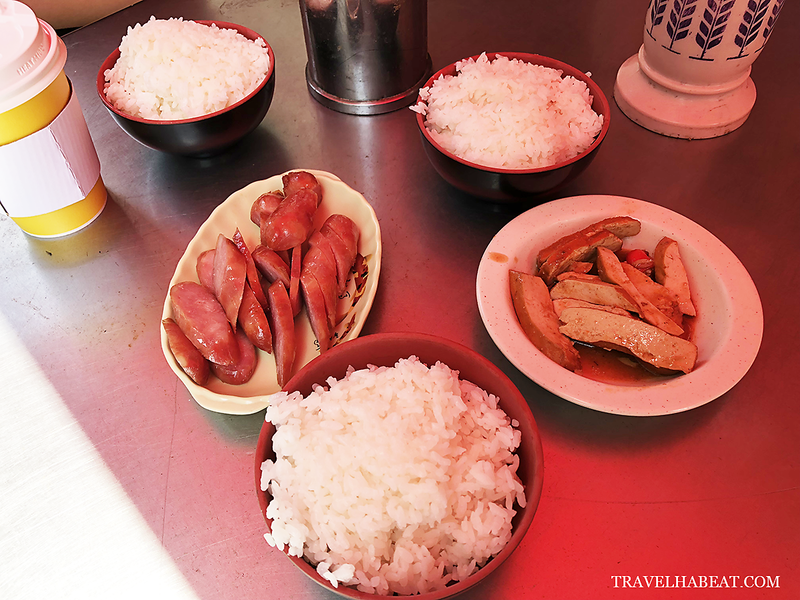 Sausage and tofu for breakfast from the local eatery. Coffee from 7/11. I first contacted Wang via Airbnb messenger to ask if it was ok to check-in during the wee hours. He was quick to respond to my inquiries. 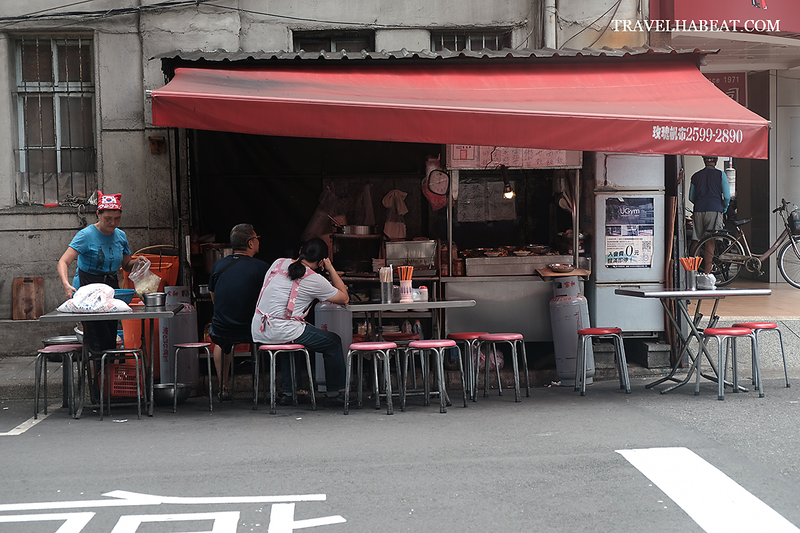 After reservation, he advised us to update him upon our arrival in Taipei. Since we rented a pocket wifi from the airport, we were able to keep in touch with him on our way to his place. It was almost 3AM when we arrived and we saw him outside the building waiting for us. Since we were only relying on the address, it would be hard for us to find the Airbnb at the building. It was really nice of Wang to wait for us outside. He immediately approached us when we get off the taxi and even assisted us with our luggage. Our air-condition room was located at the third floor (if I remember it right) and fortunately there was an elevator. Wang guided us and upon entering the room, he discussed one by one the stuff provided for us, from the slippers to the shampoo in the bathroom. We really appreciated him doing so even at 3AM, he even tried to teach us how to go to Ningxia night market and MRT station. Comfy beds 🙂 Small sofa and a centerpiece table. There were two beds – a single and a double bed, just what we needed. The double bed was spacious enough for two people. 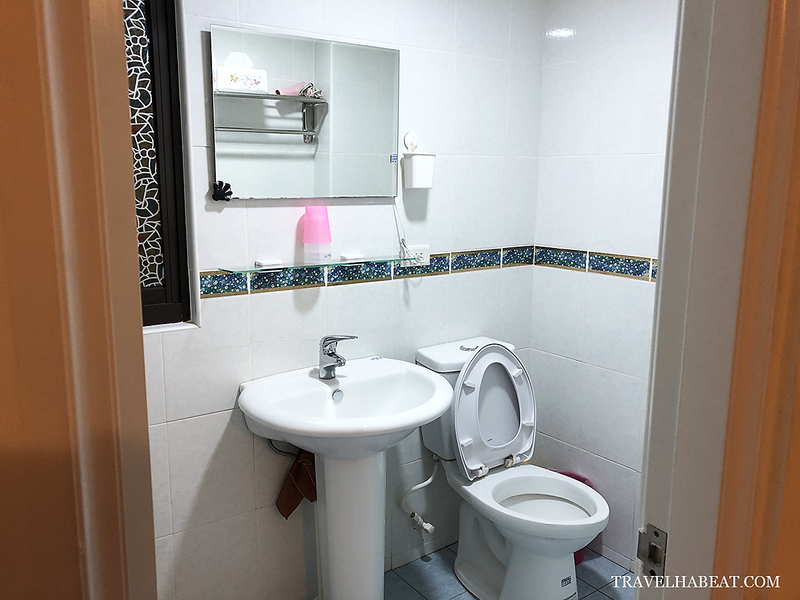 The entire room was really clean including the bathroom. We even had a small sofa and a centerpiece table. Love is a carefully designed lie – lol. Cute wallpaper anyway. Our room had the provision for the following: flat-screen TV, mini refrigerator, electric fan, hairdryer, and slippers. We also had electric water kettle, glasses, and lots of tissues. There was no cabinet but we had clothes rack and some hangers. What I really like the most was the provision of universal plug and USB charger. 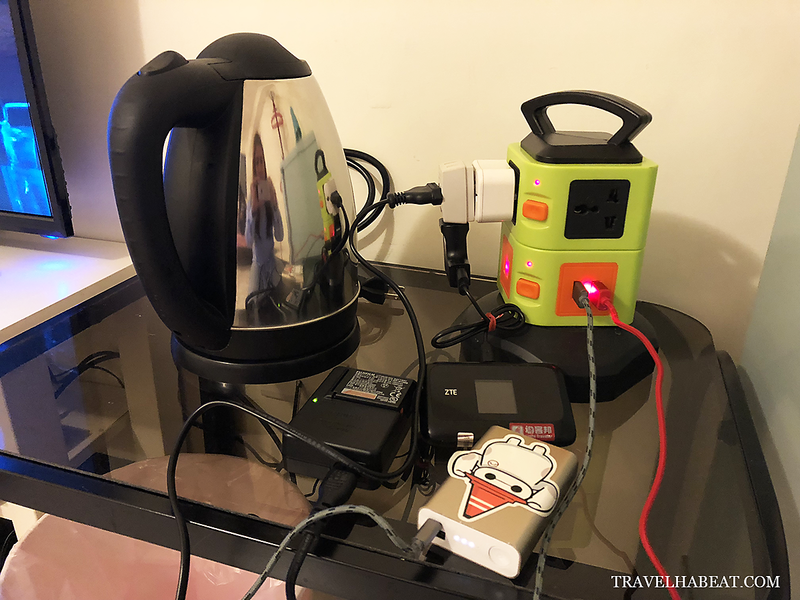 Provision for universal plug and USB charger. The bathroom was equipped with basic toiletries. A hot and cold shower was also available. Just bring your own towel because what was provided to us were just huge paper towels. 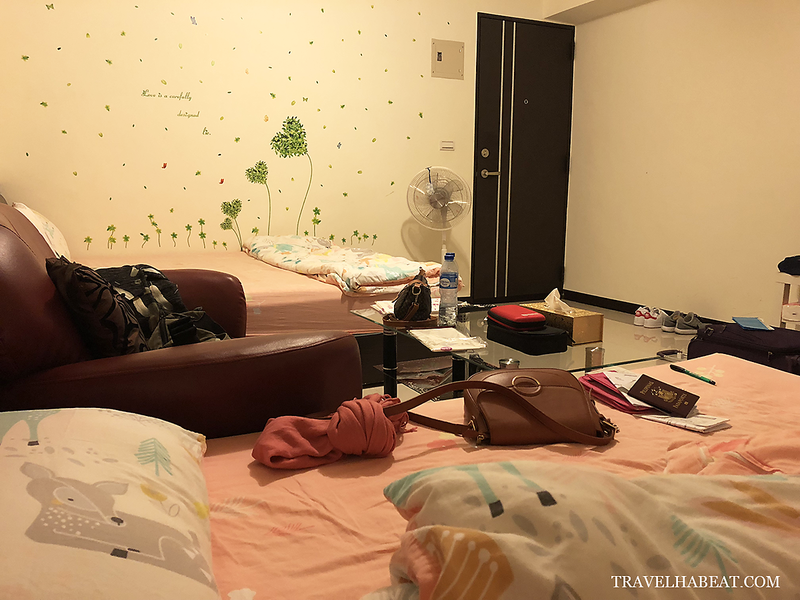 Our group of three paid for a total of ₱12708.90 (approximately USD240) for five nights. We paid online using credit card. 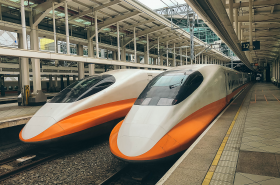 Since we arrived at the wee hours, the only transportation available from the Taoyuan International Airport was shuttle bus 1819 that brought us to Taipei Main station. Travel time is around 1.5 hours. From Taipei Main station, we took a taxi for less than 10 minutes. 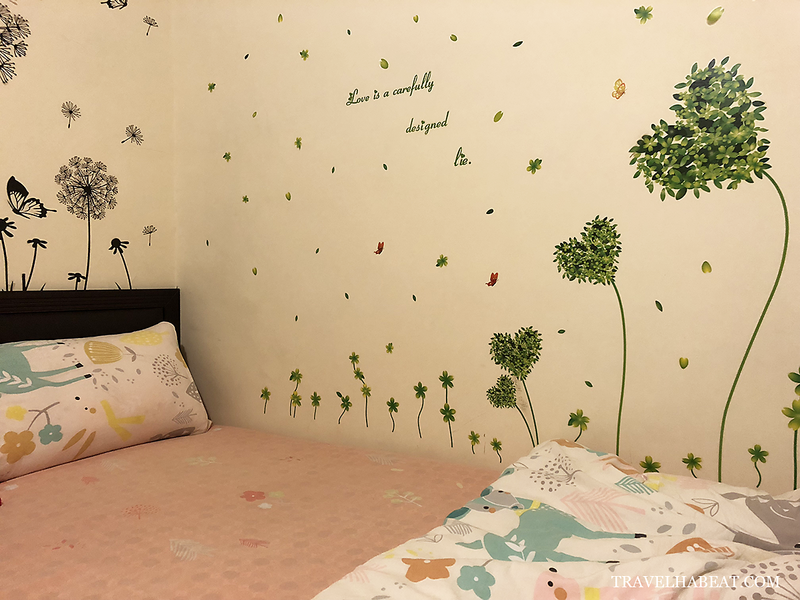 If you are looking for an affordable yet a comfortable and decent place to stay in Taipei, I highly recommend Wang’s Airbnb. Our room was equipped with basic necessities and was really clean. 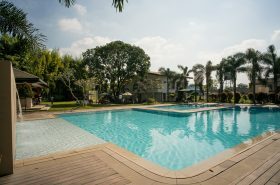 The location is superb – surrounded by convenience stores and just near MRT stations. Wang is also a really considerate host who waited for our arrival outside the building at 3AM.